We are the leading manufacturer and trqader of Modular Clean Room Panels for Laboratory. We can also be customized these as per the specifications provided out esteemed patrons. 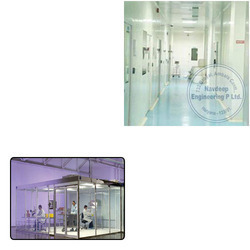 We are the leading manufacturer, trader and service-provider of Modular Clean Room Panels for Laboratory. We can also be customized these as per the specifications provided out esteemed patrons. Looking for Modular Clean Room Panels for Laboratory ?